If you want to start a family, but are concerned about your ability to get and stay pregnant, have your OB/GYN refer you to the team of expert maternal-fetal medicine experts at TLC Perinatal PA for preconception counseling at their offices in Silver Spring, Hagerstown, and Germantown, Maryland. Preconception counseling can help you optimize your health to improve your chances of conception and a healthy pregnancy. 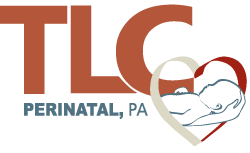 Call TLC Perinatal PA or make an appointment online today. The maternal-fetal specialists at TLC Perinatal PA offer preconception counseling to help you improve and try to optimize your health and well-being before becoming pregnant. If you have any medical conditions, your doctor can provide treatments to optimize your health before you start trying to get pregnant. What should I expect during preconception counseling? Your doctor will also ask about your personal and family medical history. For example, they need to know about any pre-existing medical conditions and medications you take as well as if you have a family history of high blood pressure, diabetes, twins, or genetic abnormalities. You and your doctor also talk about your lifestyle. Your doctor wants to know about your diet and exercise habits and your use of caffeine, tobacco, alcohol, and recreational drugs. They need to know about your partner’s habits as his lifestyle can affect his fertility. Your environment is also a factor to consider when you’re planning to get pregnant. Your doctor needs to know if you’re at risk of exposure to X-rays, lead, chemical solvents, or cat feces. Your doctor also provides a physical exam and blood tests to assess your health. They can also show you how to chart your menstrual cycles to identify your most fertile days. Your doctor will also recommend that you start taking a prenatal vitamin that includes folic acid. When should I have preconception counseling? You should schedule your preconception counseling appointment for 3-6 months before you’d like to become pregnant. This allows plenty of time for you to address any health issues and start to make some adjustments to your diet and exercise habits to optimize your health and your chances of conception. If your doctor identifies any barriers to your fertility during your preconception counseling and testing, you can get the treatment you need to have a successful pregnancy. If you’re already thinking about getting pregnant, have your OB/GYN refer you to TLC Perinatal PA. You can make an appointment online or by phone for customized preconception counseling.